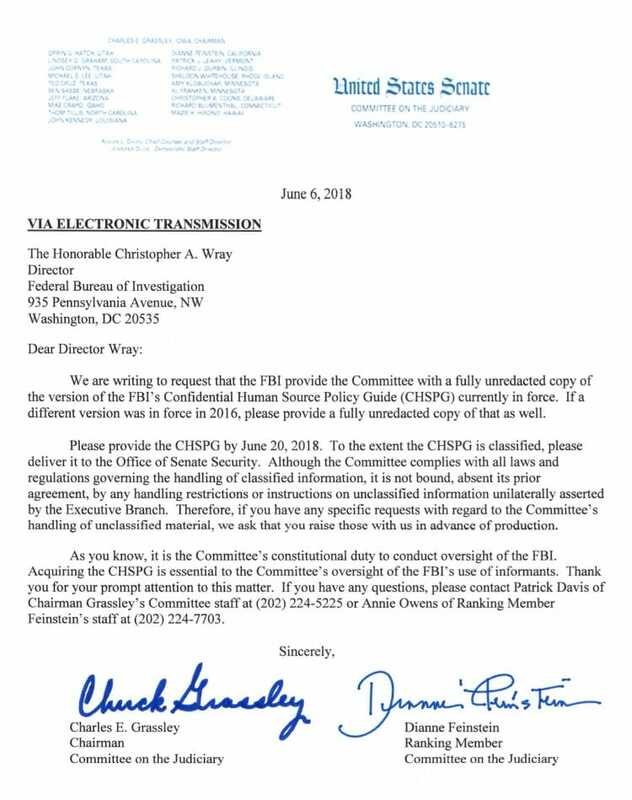 On Wednesday, Senate Judiciary Chairman Chuck Grassley (R-IA) sent FBI Director Christopher Wray a letter requesting an unredacted version of the FBI’s “confidential human source” policy guide. FBI Director Wray must hand over the requested documents to the Senate Judiciary Committee by June 20th. 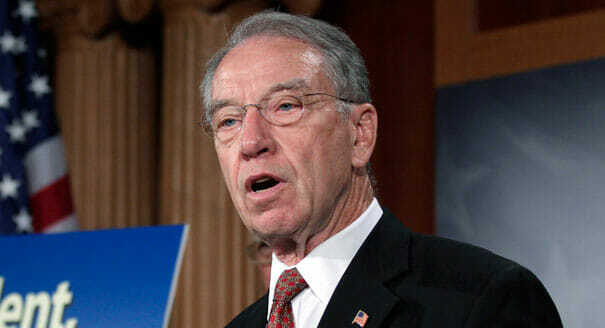 Senator Grassley wants answers on Spygate. The “confidential human source” AKA Stefan Halper, was paid a total of $411,575 in 2016 and 2017 for work with the US government that included spying on the Trump campaign. Hill sources are saying the FBI spy who infiltrated Donald Trump’s campaign in 2016, Stefan Halper, bled information into Hillary’s phony dossier. Now the Democrats are in spin mode. There may have been a second and even a third spy planted in Trump’s campaign. Grassley wants the FBI’s policy guide on using “confidential human sources” AKA spies. different version was in force in 2016, please provide a fully unredacted copy of that as well. handling of unclassified material, we ask that you raise those with us in advance of production.